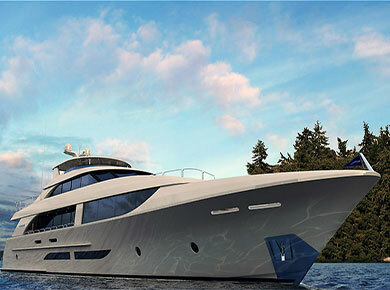 Pacific Power Group is a longtime partner of Delta Marine, providing MTU power for super yachts that travel the world. Delta Marine puts decades of craftsmanship into each vessel they build to provide yachts that are luxurious, durable and innovative in their design. 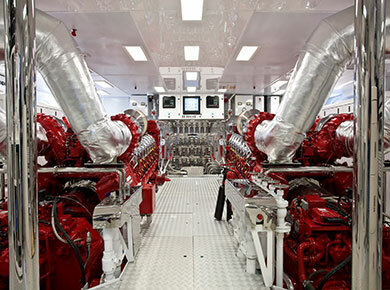 That means their mega yachts need engines that can match their high-end comforts and lavish amenities with superior performance, smooth operation and unbeatable reliability – and they put their trust in MTU and Pacific Power Group. One of those yachts is Mr. Terrible, a 154-ft. super yacht that our marine team powered with Series 4000 engines. Each supplies and impressive 3,650 horsepower to the vessel and are at the heart of her impressive performance. The yacht can reach cruising speeds of 20 knots easily and has a maximum speed of about 24 knots. Her MTU engines offer lower noise, few vibrations and unmatched reliability. With lightweight, carbon fiber design, this Delta Marine yacht offers world-class performance and next-level luxurious comforts for those looking for their next marine adventure.